Red: 328 A short par four to open, but far from a pushover. 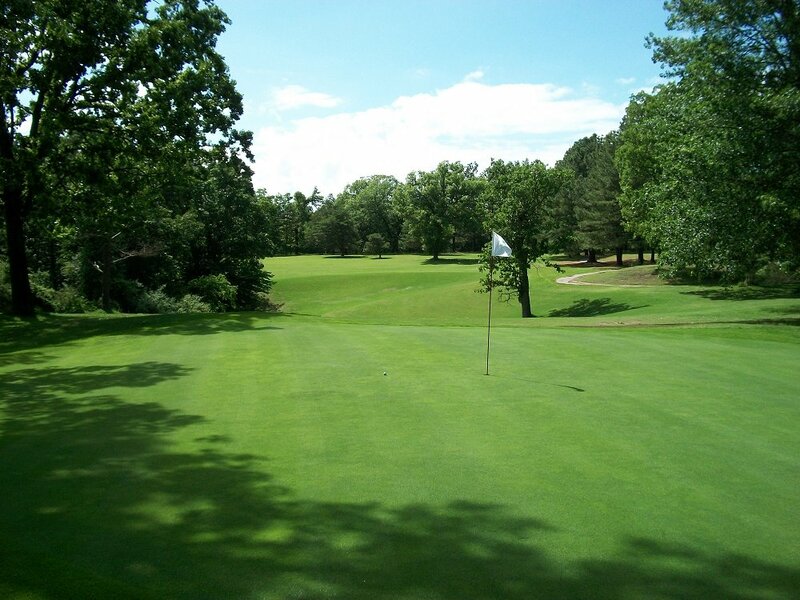 The fairway slopes right towards thick woods, there is a stand of mature pines to the left. 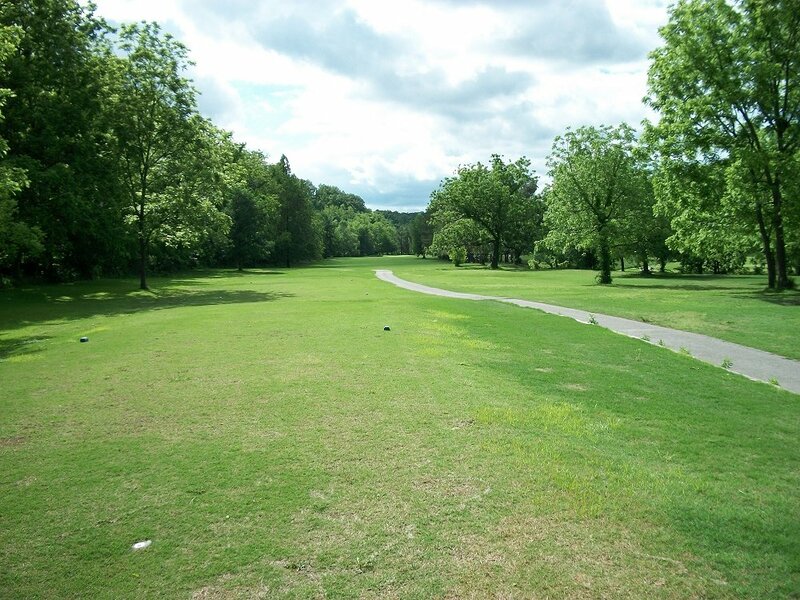 It's a tight fairway, folks, and you can easily drive through it into more woods.The smart player plays a little draw with a fairway wood, two putts the heavily sloped green, and celebrates. Red: 180 When was the last time you saw a 192 yard par three with a 13 handicap rating? A par here is a major victory. You play through a narrow tree-lined corridor (and get used to that!). Red: 409 One of a very few holes where a fade can help you. A long fade will put you in short iron range to a fast crowned green. It's just not getting any easier, is it? Red: 370 This dogleg to the right plays along the top of a ridge. The fairway slopes to the woods on the right, but there are more trees to the left. A drive down the middle with a little draw can get you home in two. Red: 287 Short, but tough. This four doglegs sharply to the right across a steep valley that will eat up a faded drive. Lots of trees, of course, including huge oaks that protect the green. Red: 439 Can you spell T R O U B L E? 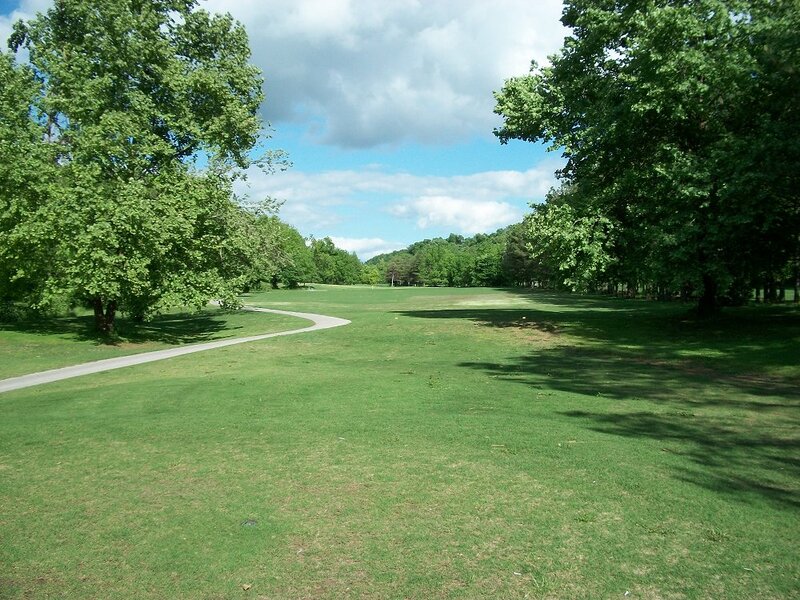 How about a long, narrow par five through the trees with OB to the right? It doglegs left, and the green is protected by right and left bunkers. A five here feels like a bird. Red: 133 It looks easy on the scorecard, but this tiny fast green is tucked between two bunkers (front and back) and is heavily sloped. I've seen three-putts from six feet. If you can slip in a bird, dance all the way to the next tee . . .
Red: 333 Drive across a valley (about 175 yards to carry) and lay your drive into one of the more spacious fairways on the course. The big green slopes about four feet from front to back. Red: 323 One of the narrowest fairways follows one of the widest. The smart golfer uses a fairway wood for position, and tries to avoid the trees surrounding the bunkered green with his approach. Red: 388 Simply spectacular. 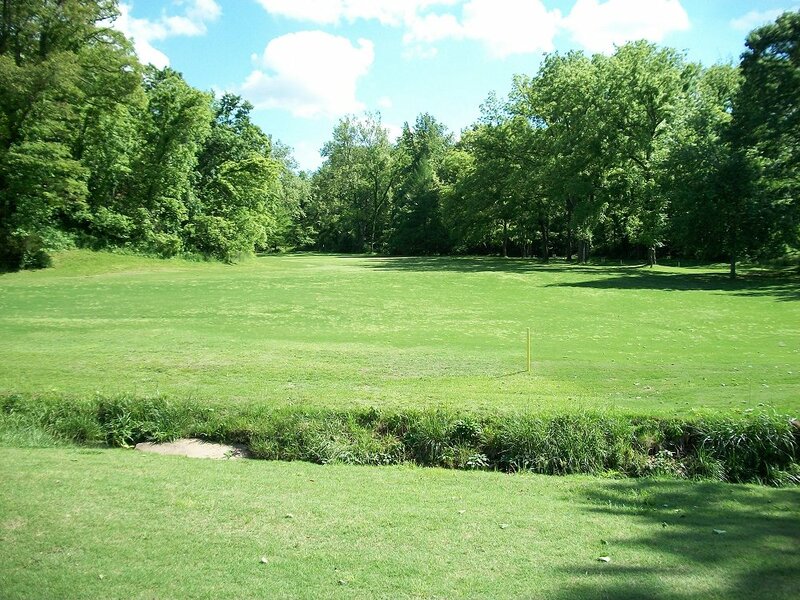 If you can carry the creek from the elevated tee, about 220 yards, you'll have a short iron into this dogleg left. A steep hillside blocks drives that are too far to the left, so stay mid-right. 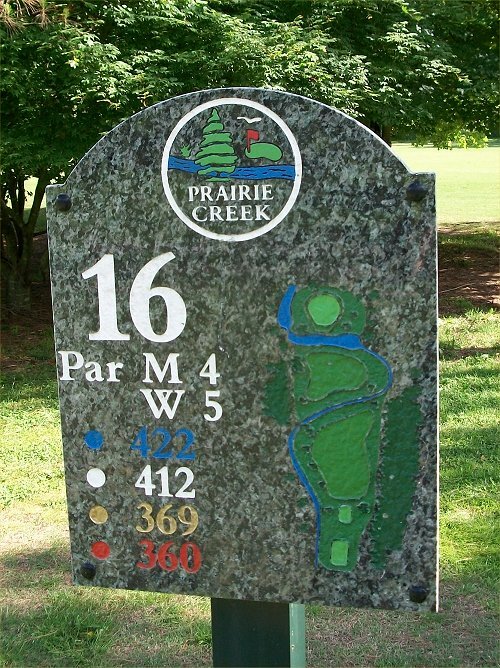 Red: 162 Maybe the 18 handicap hole is a throwaway on your home course. 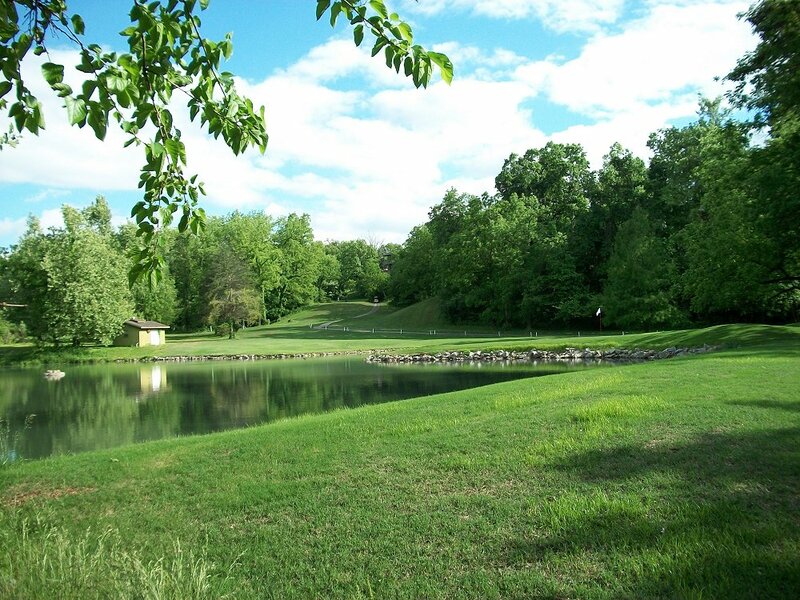 Here, it's a breathtaking downhill par three protected by a huge pond in front and to the right. You'll see as many doubles as birdies here. Red: 429 How tough is Prairie Creek? 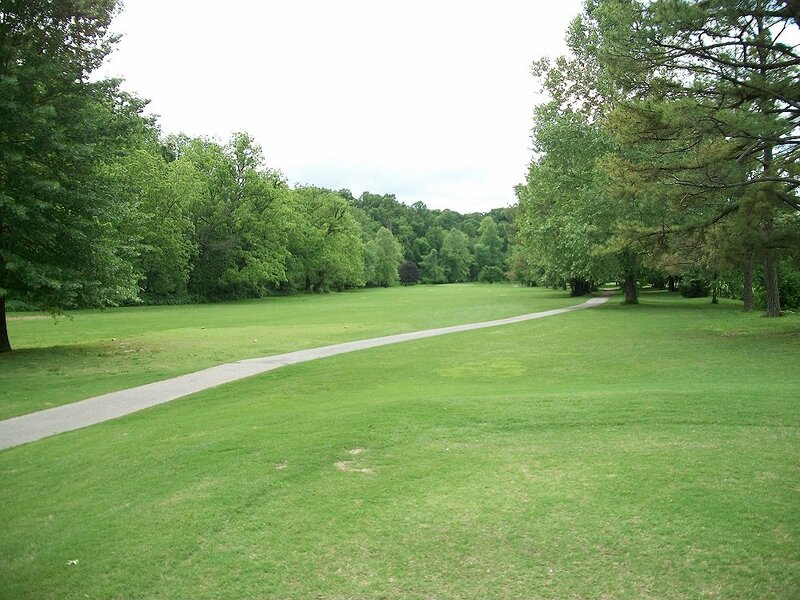 Well, this 437 yard straightaway four with woods on the left and creek on the right is the eight handicap hole. You'll have to play your approach from the left, as a tree guards the right. Eight handicap? Red: 419 Thick woods to the right, tall pines to the left. 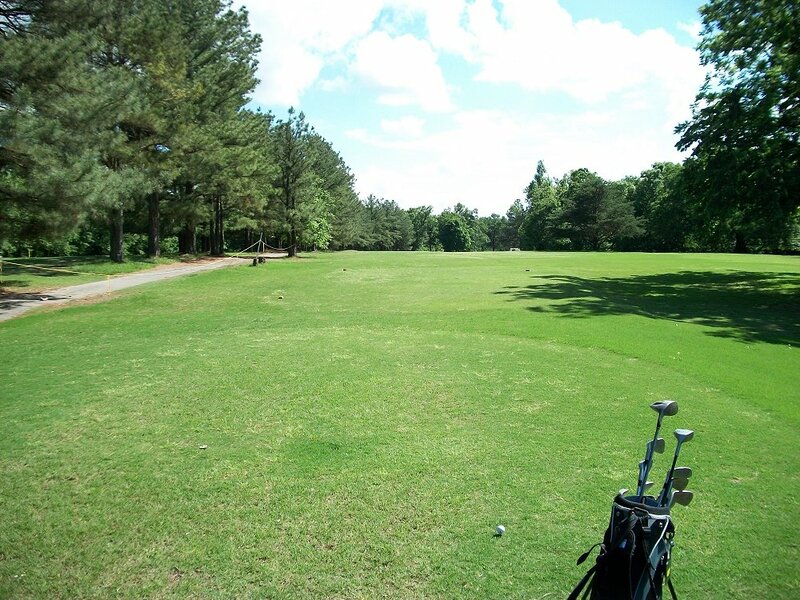 The fairway is about 50 yards wide, and you'd better hit it. I saw it eagled once, I've seen it snowmanned several times. Red: 365 Lots of pines to the right, but 185 yards out, the fairway actually widens to the left. It gets real narrow by the time you reach the green, though. Red: 387 Heading back towards the clubhouse, don't be surprised if that pesky wind in your face through the first five holes of the bottom nine turns around and stays there all the way back home. Joe sanders took full advantage of the quirks of the local terrain. 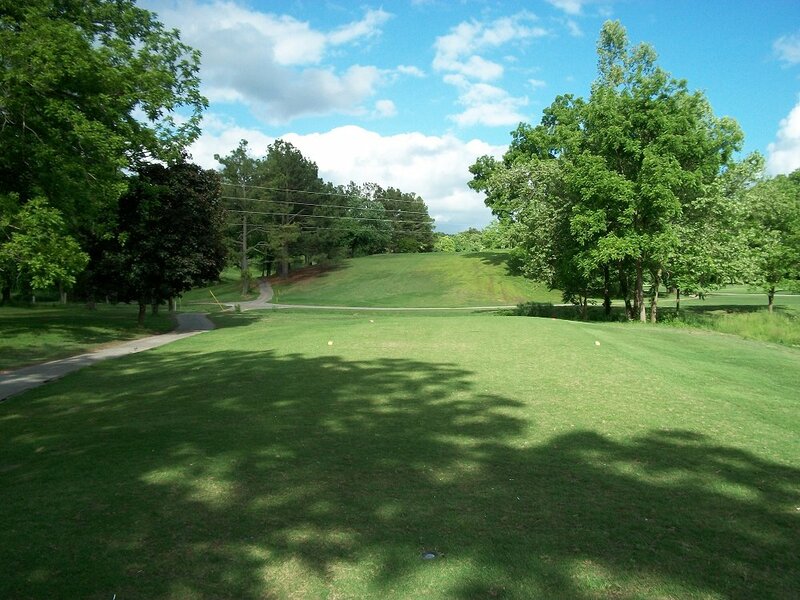 The green sits well above the fairway, with trees to the left, creek to the right. Red: 360 A four? More like a 4 1/2. 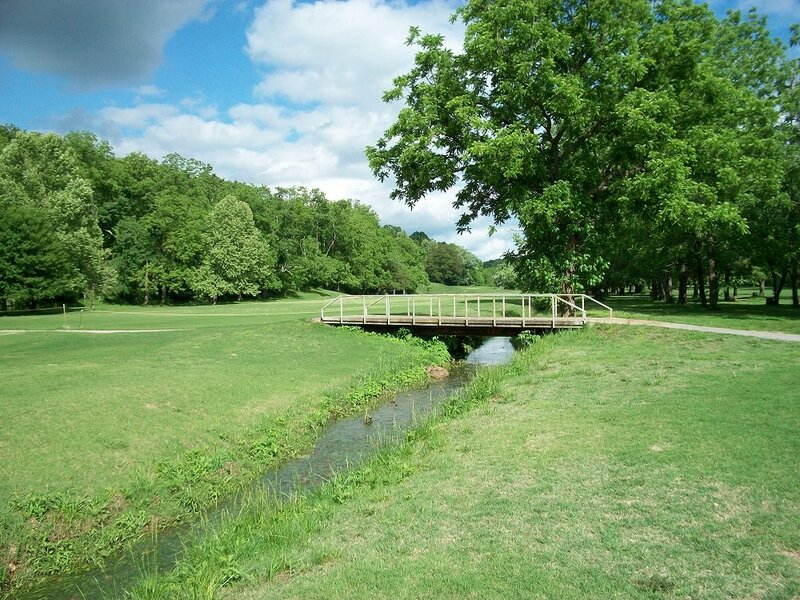 A creek crosses the fairway twice, and a four feels like a birdie. Only the longest hitters will clear the creek with their drive. Red: 397 This long four has a fairway that narrows to thirty yards in the driving area between trees on the left and a creek on the right. 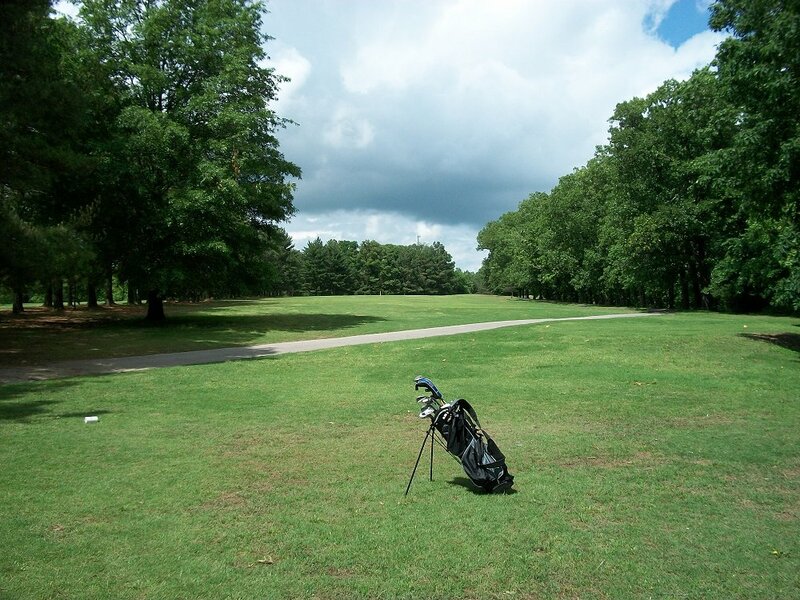 The fairway widens on the way home, but you'll agonize over distance vs. accuracy as you ponder your driving options. Red: 147 What a finish. 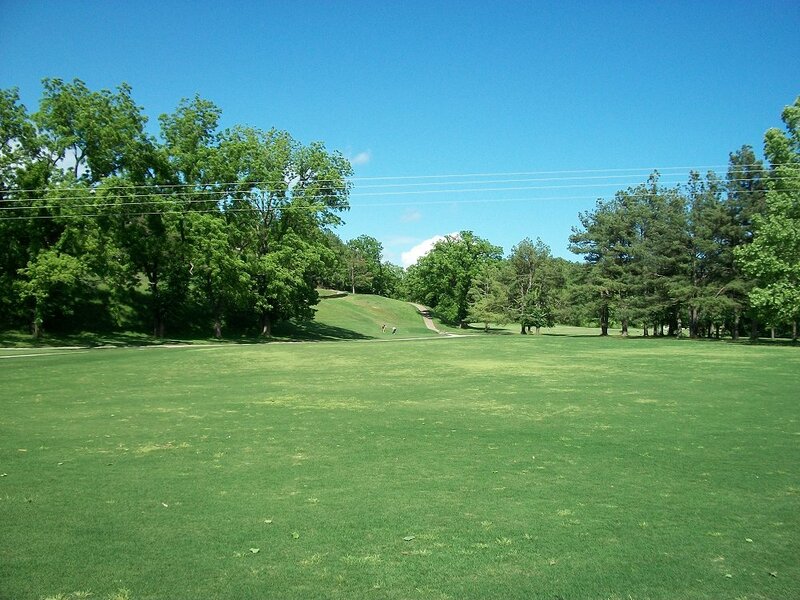 The green sits on a hill 50 feet above the tee box, and missing it right or left is deadly. A three is doable, but you'll have to use at least one extra club.